Am I supposed to be feeling itchy? Wow. Seven years. That’s crazy!!! Happy Anniversary!! 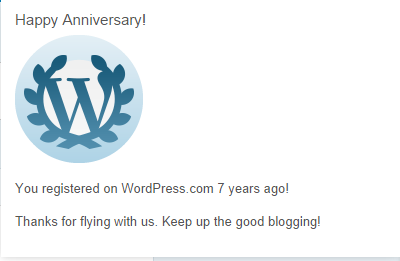 I don’t remember getting one of those reminders from WordPress–maybe its a new thing.